Droyd Cantina: Android Wedding FTW! An Android wedding. Look at that adorable female robot. When a Fanboy Meets a Fangirl [Love]: "
Andy works for LG. Kaylee works for T-Mobile. 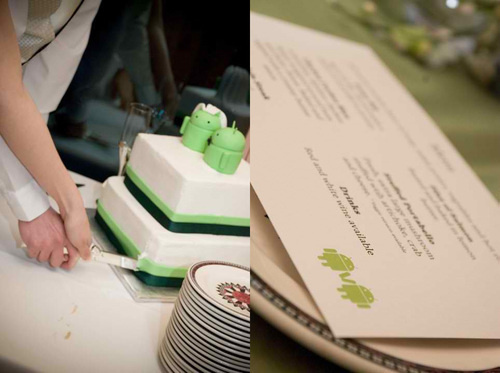 They both love Android, and they weren't afraid to use their wedding cake to show it.